There’s no doubt that Valentine’s Day is one of America’s most popular days. More than 62% of Americans celebrate by sending greeting cards, flowers, candy, jewelry, or by enjoying a romantic dinner. But the origin of Valentine’s Day is surprising. For example, the roots behind Valentine’s Day go all the way back to an ancient Roman fraternity fest held in mid-February called Lupercalia. Later, the Christian church chose mid-February for Saint Valentine’s Day in order to Christianize the celebration, but who was St. Valentine? Not much was known about the holiday’s namesake. First of all, there was more than one such Christian priest. One thought it was unjust and defied the Emperor and continued to marry young lovers in secret. Emperor Claudius II banned marriage for young Roman men, thinking single men made better soldiers. Eventually, the Emperor caught on to the priest’s actions, and he was arrested and sentenced to death. Pope Gelasius declared February 14th as the date honoring Valentine’s Day near the end of the 5th century. It wasn’t until the 1300’s that the holiday became associated with love and romance. Back then, people believed that February 14th also was the beginning of the birds’ mating season. The first written Valentine greeting appeared in the 15th century, and by the 17th century people in Great Britain had begun a tradition of exchanging Valentine cards or letters. Valentine’s Day soon caught on in the U.S. as well. 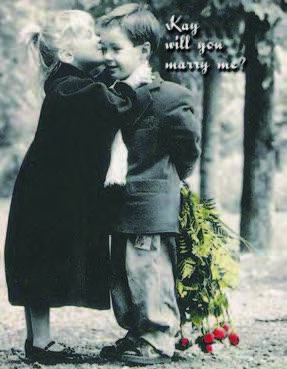 The first mass-produced holiday cards emerged in 1840, and Valentine’s Day soon exploded into a major consumer holiday. Today, an estimated 1 billion Valentine cards are sent each year, more than any other holiday except for Christmas. More than 35 million heart-shaped boxes of chocolate are sold, and 220 million roses produced for the holiday in a year. 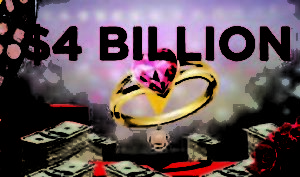 Altogether, Americans spend around $20 billion on Valentine’s Day, an average of $130 dollars per person per year. While the most popular gifts were candy and flowers, nearly 20% of Americans splurge on jewelry, shelling out $4 billion annually. Those who prefer the ultimate romantic gesture are definitely not alone. A recent survey reveals at least six million couples are likely to get engaged on February 14th.